Musling is part of the Knits for Little Imps e-book. 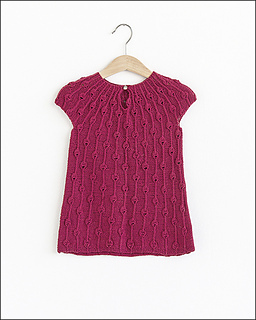 The Knits for Little Imps e-book has 11 patterns. 3 of the patterns are charted and do not have line-by-line instructions for the charted parts. These are Loppe, Musling and Putte. Knits for Little Imps is the follow-up to Knits for Little Scamps, which was published in 2 e-book volumes in 2014.